LeBron James is earning a $19 million salary this year with the Miami Heat. His Liverpool co-owner John Henry has several sports investments including the Boston Red Sox and NESN. Yet even with a net worth of $185 million, LeBron doesn’t make this list. Neither does Henry, who’s worth a whopping $1.4 billion. When it comes to the richest EPL owners, these guys are all sizeable billionaires. Since not all of these clubs are money-makers, these owners are clearly invested in them for the love of the game. Here’s a look at who does make the list of the Premiership’s top 10 richest owners, how they made their fortunes and where they are spending their money. Owner of British retail store, Sports Direct, Mike Ashley surprised the public when he purchased a part of Newcastle. He originally paid over $91 million for an ownership stake. However, he upped his purchase from approximately 41% to become the sole owner, which set him back another $131 million. As the club’s owner, it’s been a bit of a bumpy ride. A BBC documentary exposed that Ashley was unaware of just how much debt he was acquiring with the club. Ashley’s attempted to sell a couple of times, but wasn’t able to find a suitable buyer. And while fans may have enjoyed his presence in the stands during games, league execs were less than impressed. That’s not to mention controversy from some of his on-field decisions as well. This businessman doesn’t rely on the club for his fortune. Lucky for him, he’s seeing huge profits as of this January, around 14.6% ($465 million), from his retail chain. Billionaire Fact: Ashley once played a game of spoof (a gambling and drinking game) to resolve a $335,000 bill – he didn’t win. Katharina Liebherr inherited her father Markus’s $3 billion fortune after his unexpected death in 2010. However, until recently she’d had no involvement in the club at all. Nicola Cortese, an Italian banker left in charge by Markus, was running the show. But once the heiress demanded more of a say, the Southampton execs hit a rough patch. Now, thanks to a successful bid by Katharina, she’s taking over and has since named Ralph Krueger to chairman (replacing Cortese). While not much is known about Southampton’s new non-executive chairman, fans are hoping that these changes don’t cause too much turmoil on the pitch. Billionaire Fact: Katharina says she has “zero” intention of selling Southampton. Coming in among the top 125, Shahid Khan makes the Forbes 400 list of richest Americans. This American of Pakistani descent purchased Flex-N-Gate automobile parts manufacturer in 1980. The fledgling small business has risen to $2 billion in sales from its humble beginnings 30 years ago. Making his fortune off the business, this left Khan with the cash to expand his empire. Khan bought sole ownership of the NFL’s Jacksonville Jaguars in 2011. Although the price wasn’t disclosed, it was rumored to be worth $760 million. Khan assumed the Jaguars’ debt upon purchase, totaling $150 million. He didn’t stop there, though. One of the newest Premier League owners, he bought Fulham FC for a reported $250+ million. Thanks to his success, Forbes labelled him the “face of the American Dream” two years ago. Billionaire Fact: Khan lost out on his bid for the NFL’s St. Louis Rams in 2010 to Stan Kroenke (who also makes our list). This entrepreneur made his mark in the business world, earning the majority of his wealth from hedge funds. He started an equity firm in Texas, which established funds totaling over $13.3 billion. Short also owns all or a share of several lucrative investments including the IKB Deutsche Industriebank AG in Germany and Skibo Castle in Scotland. With a solid bankroll thanks to some savvy business decisions, Short had the money to take on an EPL team. He has said that he would implement a “sustainable plan” for Sunderland but not meddle in the everyday activities of the club. Since his purchase in 2008, he’s poured at least $335 million of his own money into the team. Billionaire Fact: Short left nearly a $3,000 tip at recent dinner after a Sunderland win. This sports magnate started out in real estate, purchasing and selling commercial land. But a decade later, with a bit more cash in hand, he was able to create Kroenke Sports Enterprises. With his business, he purchased stakes in the NFL’s St. Louis Rams, NBA’s Denver Nuggets, NHL’s Colorado Avalanche, AFL’s Colorado Crush, MLS’ Colorado Rapids and NLL’s Colorado Mammoth. (He did have to legally transfer some rights to his son since the NFL doesn’t allow owners to also hold a majority stake of other major league teams at the same time.) In addition to the many teams, he also owns the Pepsi Center in Denver. In 2007, Kroenke expanded his ownership reach across the pond. He purchased a majority share of Arsenal, which has increased thanks to buying out other shareholders. The full deal cost him over $1.2 billion. It hasn’t been smooth sailing, though, for the owner; “Silent Stan”, as he was dubbed, has been heavily criticized for not being visibly involved in the operations of the club including financial growth. Billionaire Fact: Kroenke is married to Ann Walton, an heir to the Wal-Mart chain; their share is now worth $6 billion. The businessman from the Bahamas is Chairman of the Tavistock Group. This investment corporation began in 1975 and has expanded to own over 200 companies. With Lewis as the primary investor, it’s fair to call him the owner of the Spurs (via ENIC Group within Tavistock). However, the group owns many other more lucrative investments including oil and energy companies, planned communities, and even banks. Lewis supported a spending spree (of over $150 million) before this past season began as an investment to keep the Spurs competitive. Billionaire Fact: This Spurs owner currently lives and works on his superyacht, Aviva, which also stores his art collection reportedly worth $1 billion. This New Yorker took over his family business at a very young age, and thanks to his successful investments and strong capital was able to expand his company. Malcolm Glazer became CEO/President of First Allied Corporation, which dealt with ownership and management of commercial shopping centers. From there, he went on to dabble in companies like Harley Davidson and Tonka among others. Glazer first got into sports ownership back in 1995 with the NFL’s Tampa Bay Buccaneers. He’s made his mark on the Bucs, expanding the team’s involvement in the community, though many think he hasn't done enough to improve the team itself. Still, Glazer set his sights on another major league team, purchasing ManU for $1.3 billion. He shares the duties of running the club with his sons. ManU’s been fairly successful under Glazer, winning five league championships. 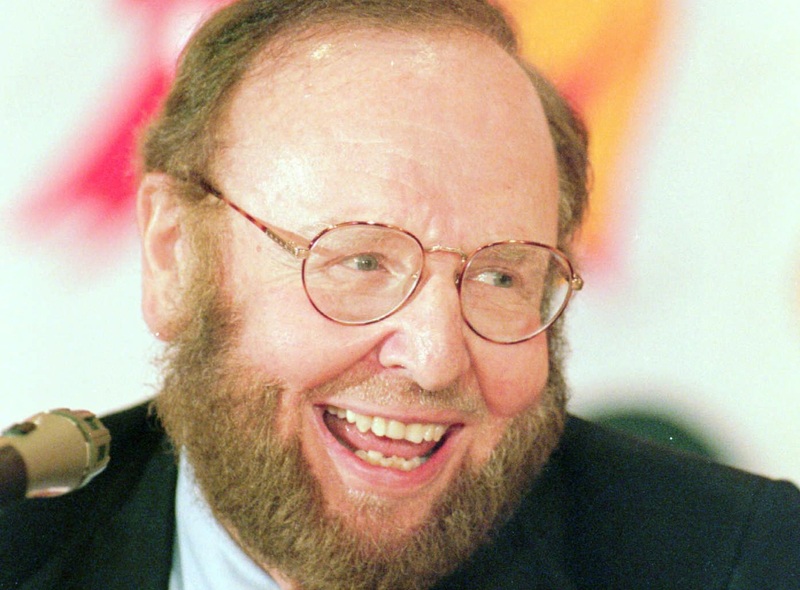 Billionaire Fact: Glazer paid $192 million for the Bucs in 1995. This self-made millionaire started his fortune in oil and moved into the steel industry. To add to his collection of yachts, airplanes, cars and homes, Abramovich purchased Chelsea back in 2003. After over a decade as the owner, it’s safe to say Abramovich has shown his commitment to the team. He frequently appears at matches and has poured tons of money into Chelsea, despite several years of lost profits. He also has a fondness for replacing managers on a whim. Abramovich shares his love of the sport with his Russian countrymen by funding a National Academy of Football. The purpose behind the foundation is to get youths involved in football, and has built over 50 pitches across the country. Billionaire Fact: Abramovich is one of the top 10 richest Russians in the world. Russisa’s richest man got his start in metal and mining production but now has a hand in several industries. Alisher Usmanov has a majority share in a tech company that invested in Twitter among other companies. (He sold his shares in Apple and Facebook this past year.) He also owns a mobile-phone provider, publishing house, and the list goes on. His company has even sponsored Dinamo Moscow a few years back. Today, Usmanov is a major shareholder of Arsenal. He’s been vocal about not giving up any of his shares to co-owner Stan Kroenke (tied for no. 6 on our list). As recently as a year and half ago, he penned an open letter to the club criticizing its business model and decisions, which he felt has caused their lack of success. Billionaire Fact: Usmanov recently invested in the internet company, Alibaba which is worth approximately $200 billion, second only to Google. Sheikh Mansour, the Deputy Prime Minister and Minister of Presidential Affairs of the UAE, comes from one of the wealthiest families, who have a net worth at around $150 billion. He runs an oil company and has padded his fortune with lucrative investments over the years. Sheikh Mansour owns stakes in Virgin Galactic (a spaceflight company), Daimler AG (the automobile company) and Abu Dhabi Media Investment Corporation, among others. In 2008, Sheikh Mansour expanded by having his investment group purchase Manchester City. It’s rumored that he’s put over $1.5 billion into the club – from the players and staff to the commercial aspect – since his takeover, which certainly tops this list. Though in spite of this, the club’s reported losses several of the last few years (though revenue has increased). Sheikh Mansour’s not put off by this though; he’s gone on to purchase a majority share in New York’s newest MLS club, New York City FC, launching in 2015. Man City's brand will be similar to NYC, as they'll have the same jersey colors and sponsors. Billionaire Fact: An accomplished horse rider, Sheikh Mansour launched his own horse racing festival.